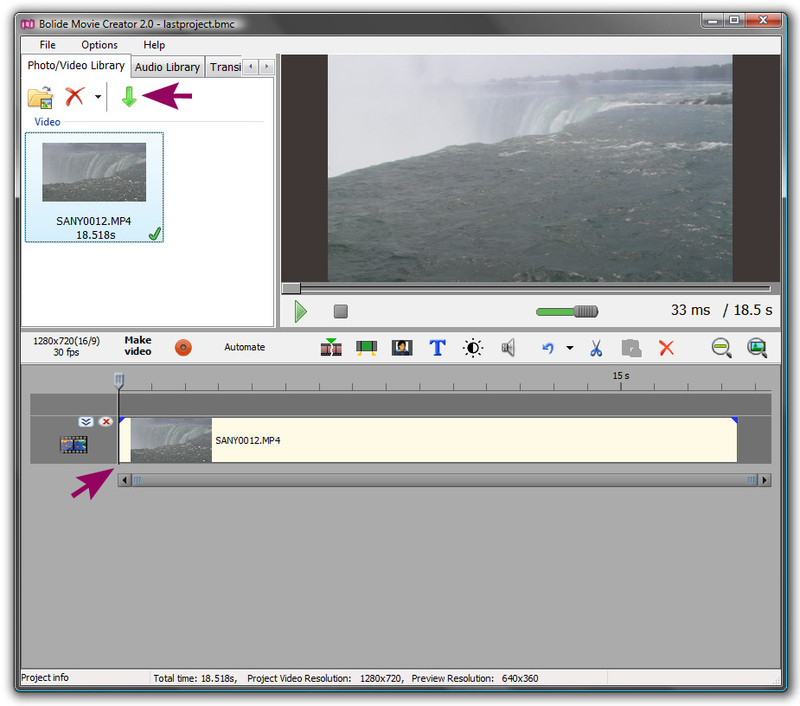 Before you can start making movies, you'll need to add some video clips to your project. This guide will provide you a quick look at how to get started adding clips to your Photo/Video Library. To learn more about adding music or sound files to your project, check out Add Audio to Audio Library. Add a photo or video to your project by clicking the folder icon in the top-left corner of the Photo/Video Library tab. Note: you can also add media to the library by dragging and dropping items into the area where all project clips and images appear in thumbnail form – here you can view an inventory of media added to the current project so far. To add a photo or video to the timeline, click on its thumbnail in the media bin; once highlighted, clicking the green arrow in the Photo/Video Library toolbar will add it to your project timeline. Note: it's also possible to add media to the timeline by dragging & dropping from the media library to the project timeline.